The East Bernard High School Future Business Leaders of America would like to thank all the people that helped collect can goods for those less fortunate. We had 57 members participate. 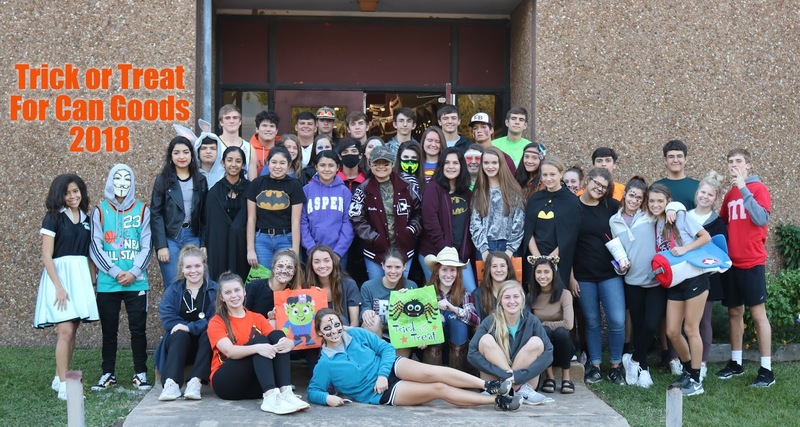 Our Trick or Treat for Can Goods Community Project was a huge success. Everyone did an awesome job! After going door to door, the FBLA members enjoyed a Pizza Party back at the school. This year we collected a record number with 1000 items donated. Our officers, also got the junior high involved with a collection in their home room classes. They donated a total 188 items for our cause. Mrs. New class collected the most items and will receive a pizza party. Way to go Junior High! Members will load up the truck and take the items to our local food pantry CARE. Thanks again everyone for helping us help our community.